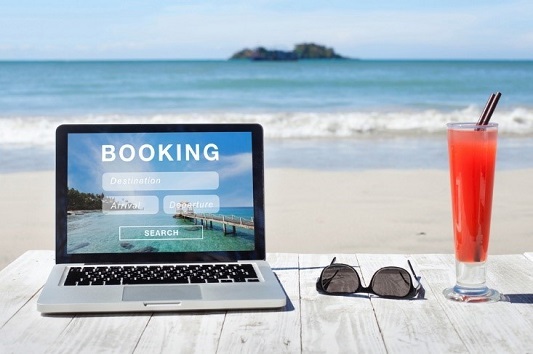 Hacks Finding Affordable Stylish Accommodations – When you’re planning an important business trip or a big vacation for the year, there are lots of factors to think about, such as your flights, transfers, car rental, tours, itinerary and more. However, for most people, one of the top priorities is finding the right accommodation. If you’re on a budget yet still want to find stylish and comfortable lodgings, it helps to know some handy tips to follow. Read on for some you need to know about today. These days, it’s easier than ever to research online to find out about discounted accommodation and limited-time deals. You can compare hotels and offers at a wide variety of websites, including sites like Kayak, Hotels.com, Expedia, Orbitz and Travelocity. With just a few clicks of your mouse you will see which hotels seem like the best mix of style, comfort and affordability, and which outlet(s) is offering the best deal on your preferred choices. Group-buying organizations, like Groupon and Living Social, can also be the place to find excellent prices on luxurious hotels and other accommodation providers. These websites are able to provide heavily discounted deals because they buy so many rooms at once. Similarly, online you will find sites where you can buy cheap, last-minute rooms off people who can no longer use rooms they’ve already booked; or auction-style setups where you can bid on stays and try to snag a great deal. While it pays to compare prices online, keep in mind that you may sometimes get the very best offer from a hotel when you contact them directly. Since companies don’t pay a commission to a third-party booking agency in this instance, they have a little more leeway in what they can provide. Many accommodation firms will price match, if you give them details about the exact deal you saw elsewhere. They might also be open to dropping their rates for stays on the same day if they can see they’re going to have empty rooms that night anyhow. In addition, if you sign up to their newsletters or follow them on social media, you can be alerted to price drops and other deals. Another benefit of approaching hotels directly is that doing so enables you to find out about the various package deals they may have created. Whether you’re after an all-inclusive cruise offer to Alaska, or Niagara Falls hotel packages which include things like meals, airport transfers, and tickets to shows, you’re sure to find a way to save. Next, another good way to cut back on accommodation costs is to be flexible regarding when and where you travel. There are usually peak seasons for every destination, so if you try to avoid these you can automatically find yourself with access to lower prices. Similarly, it pays to consider staying outside of particularly popular locations. For instance, instead of choosing accommodation in the middle of a bustling city that’s a tourist hub, stay a little further out. This might help you to not only save money on your accommodation, but also on things such as food (restaurants and grocery stores away from the busiest areas are often more affordable) and parking. Loyalty programs are also worth considering. For example, join programs offered by hotel chains, like Sheraton, Fairmont, Hilton, Kimpton, and Wyndham, and you could soon find yourself taking advantage of cheaper rates, bonus add-ons, or even free nights if you use the same chain for each of your bookings. If you travel a lot for work and can accrue points that way, you will be even further ahead when it comes time to book your personal vacations. Most airlines have loyalty programs, too. While years ago many of these only focused on giving members flight upgrades or free fares, today most of them enable users to invest their points in hotel stays, too. Similarly, if you use a credit card that is part of a loyalty program (it might be tied to a particular airline or hotel program, or have its own links with accommodation providers), you can also quickly earn enough points to get discounted or free nights away. This is particularly the case if you sign up for a credit card when banks or other financial institutions are running offers to attract new customers. They might, for instance, provide thousands of bonus points simply for signing up to a card. The new year has just started and most of us are already musing about where we want to travel in the upcoming months. 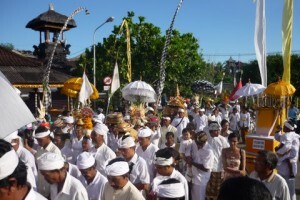 Annual prognostications by several travel agencies predict that tourists will flock to destinations across the world. However, in a barely recovering economy, money may still be tight for many of us. This doesn’t mean you can’t explore the world, though. If your travel budget is small, but your wanderlust is big, check out the ten best value travel destinations. The Indian rupee plummeted over the past year, losing 20% percent of its value. This means that the dollar is comparatively strong and has a lot more buying power, making traveling through India quite affordable. 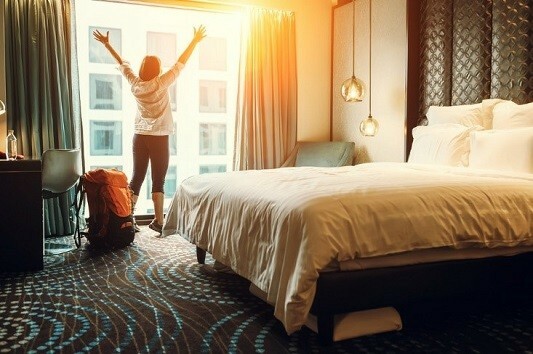 While several major international hotel chains are building in the country (Intercontinental will open 16; Hyatt will add 24 in the next couple of years; Hilton has plans for nine), business travel has slowed down, driving prices down for leisure travelers. 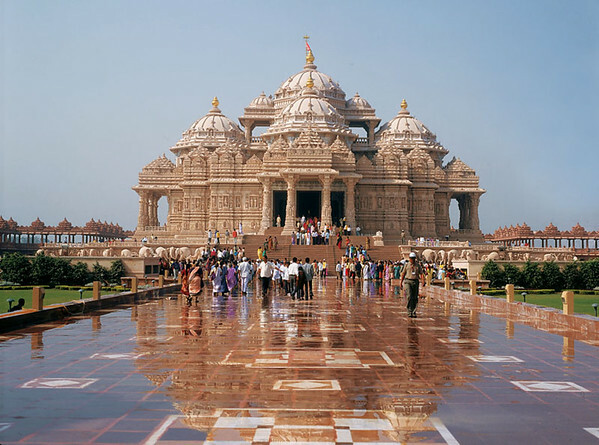 Yet, traveling to India from the US takes planning so consider booking air-inclusive vacation packages (e.g. to Goa) to save money on airfare. If you prefer to travel more “off the beaten track,” look into Karnata’s coast or inland temple town Hampi, which offer more affordable lodging and food. It’s no secret that Greece has had a very difficult time. Harsh austerity measures, soaring unemployment and partly violent demonstrations have made international news in the past few years. This is particularly tough for a country that thrives on tourism. For decades, Greece has been a prime travel destination, with its ancient ruins, fantastic food, and stunning islands. Due to recent events, though, the number of tourists has declined steadily. Therefore, the industry has lowered prices significantly in an effort to woo them back. 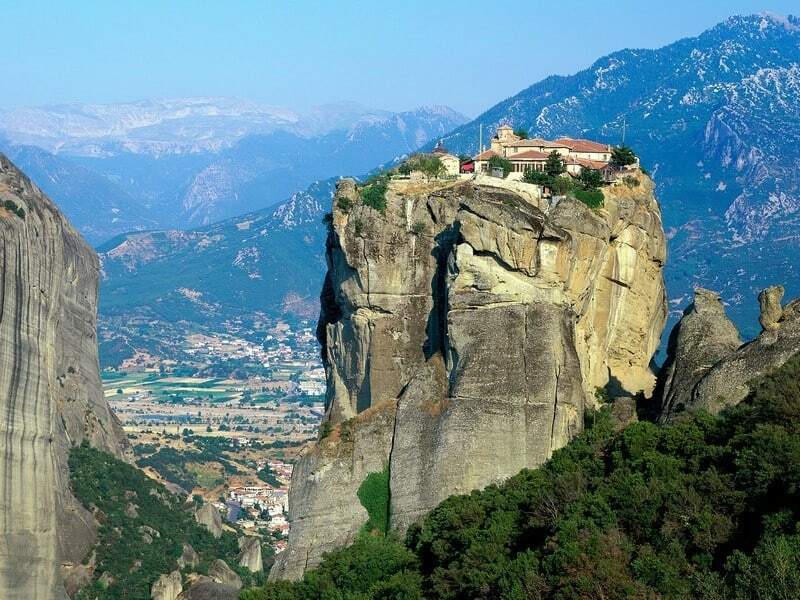 This means not only can you visit Greece in 2014 at a great value, but also you won’t have to put up with overcrowded sights. Palm Springs in California is a fantastic travel destination, especially for younger people. The town offers scenic desert fauna, chic design hotels, and a bubbling restaurant and nightlife scene. A number of new hotels and major renovations will bring competition, and therefore, low rates. 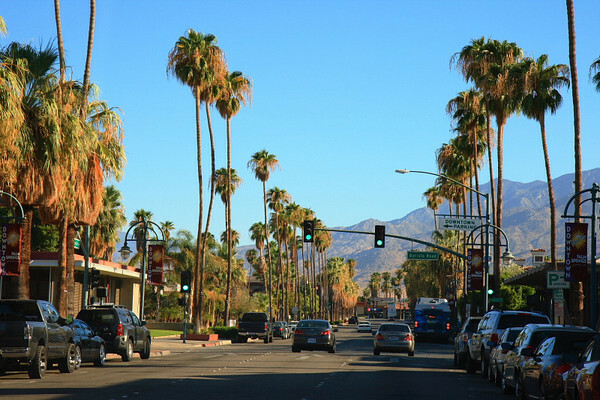 Palm Springs is also easily accessible by car, train, bus or plane at a considerably low cost. The city has been reinventing itself for the past years and its profile has risen considerably due to the immense popularity of the Coachella Music Festival, which is being held annually in the area. Palm Springs is certainly one of the “hottest” travel destinations for 2014. While South America always has been a popular place for travelers, Ecuador has been a little bit more under the radar in comparison to destinations like Mexico or Brazil. But Ecuador really wants you: the country reportedly increased its advertising budget for 2014 by 73%. Ecuador may be an especially attractive destination in 2014 due to the World Cup and the Olympic Games, when millions of tourists will flock to Brazil. You can already get flights from Miami to Quito for $399, but if you want an even better deal, purchase an all-inclusive package. 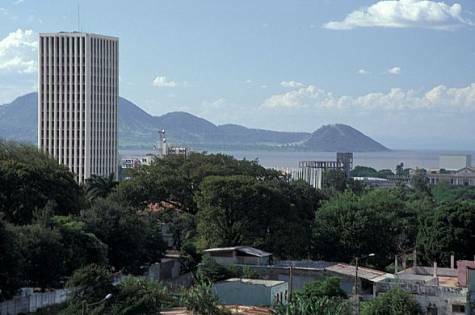 Another Latin American country made the list, Nicaragua. Traveling to Nicaragua is considerably cheaper than to its Central American neighbor Costa Rica. Nicaragua is less “touristy” and more considered to be more authentic. It’s a breathtakingly beautiful country that offers numerous attractions, from impressive Volcán Concepción to picturesque Río San Juan. 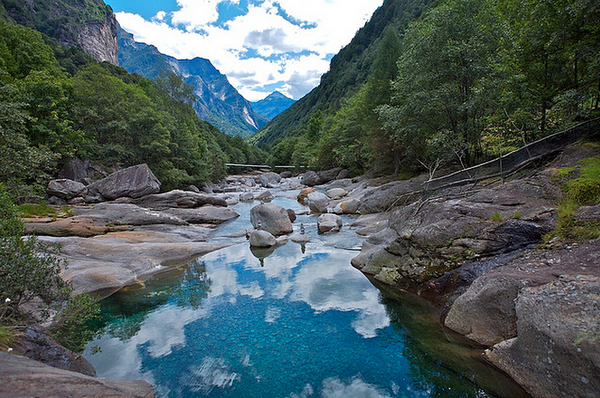 It’s a great place for people who love outdoor activities. Nicaragua is one of the cheapest places in the Caribbean for beach living and diving, and you can actually live on $20 a day there. 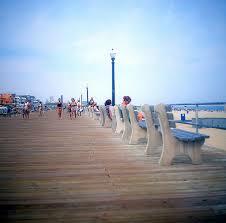 The Jersey Shore might have gained a questionable reputation throughout the past years due to the eponymous reality TV show, but it should definitely be on your radar for 2014. After super storm Sandy in 2012, which tragically destroyed large parts of the Jersey Shore, the region has been lowering prices drastically to attract tourists again. Travelzoo, which tracks and evaluates travel deals, has reported 45% year-over-year savings. A slow summer season has sparked aggressive deals that will probably last well into 2014. Eastern European cities like Prague or Warsaw are known to draw large crowds of international tourists. 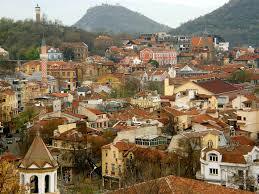 Yet, Bulgarian towns like Plovdiv, Varna or its capital Sofia are still quite underrated. Whereas Varna, located on the Black Sea Riviera, can actually be pretty pricey (and packed) during the summer, the other cities are very affordable travel destinations. Transportation, lodging (look for private rooms that are advertised via “Zimmer frei” signs) and museums are reasonably priced. The most famous site in Bulgaria, the Rila Monastery, is actually free and even offers simple rooms for pilgrims. This country by the Atlantic coast might not be as popular as Spain, France or Italy, but it’s one of the top 2014 travel destinations in Europe. For one, Portugal’s rugged shores are a paradise for surfers. 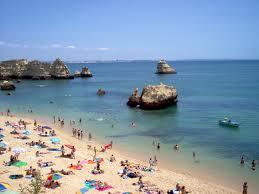 Moreover, the Algarve offers some of the cheapest options for a summer family holiday. You can get excellent deals for all-inclusive packages all year long. Lastly, Lisbon is one of the most charming cities in Europe, with its location on the Atlantic coast, its world-renowned coffee (“bica”) and sweet treats (e.g. the “pastel de nata”), and its unique architecture. 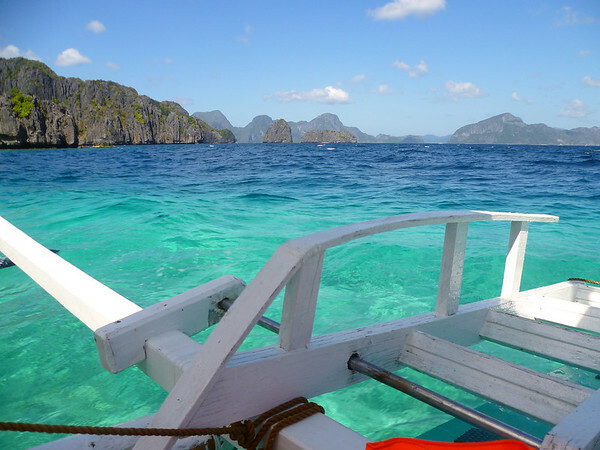 Palawan is THE top travel destination in the Philippines. Crystal-clear water, endless beaches, jungle rivers, and limestone cliffs make this tropical spot one of a kind. The Philippines are a generally pretty affordable country for travelers, making Palawan a fantastic great-value pick for Asia aficionados. The island offers stunning attractions like the Puerto Princesa Subterranean River National Park and the Bacuit Archipelago. You may also venture to the Calamian Islands, which inspired Alex Garland to write The Beach. However, avoid the monsoon season from May to October. Our last pick is Ethiopia, located in the Horn of Africa. This is a particularly attractive destination for the history-inclined. If you follow the country’s Historic Route, you get to see the Lake Tana monasteries, the Blue Nile Falls, the rock-hewn wonders of Lalibela, among other landmarks. 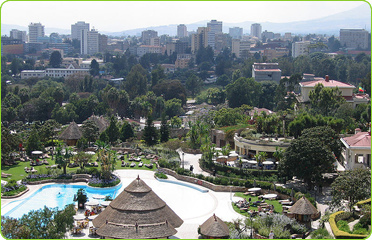 While lodging and food in Ethiopia are inexpensive, transportation can be pricey, especially if you rent a vehicle / hire a driver or join an organized tour (which you will need to do in order to explore the country). Still, this will be one of your most rewarding travel experiences. Think ahead about which month and week(s) would work best with your schedule and start your planning for your travel destinations. Use one of the many online travel websites or go to the individual countries’ or cities’ websites for travel ideas. With so many interesting, affordable options, you can take advantage of the best value travel destinations and enjoy the trip of a lifetime. I have had a passion for travel as long as I can remember. As much as I would like it to be something that I found on my own, it’s not. Kids are like play-dough, they are easily shaped and it’s always someone else who is the creator. We can change over time when we’re older, but much of that foundation will always be there – whether we like it or not. My parents always had an intention to make me like traveling, something which I didn’t realize until a few years ago when my mum was trying to rationalize me leaving to travel for the first time. ”well, I guess this is what we wanted… We did make an effort to inspire our kids to travel…” Important to get back into a routine after traveling. Why Send Your Kids To Summer Camp Abroad? We did travel all the time and sometimes also on all inclusive family vacations – something which I am very grateful for today, some people don’t want to travel with kids because they won’t remember it when they’re older, but it’s not always about the memories. I believe that traveling with your children will help them develop so many skills that they otherwise wouldn’t, as well as a different understanding of foreign cultures and accepting other ways of living. However, looking back at it, I can imagine it was a lot of hard work for my parents to travel with kids…A friend of mine, Åsa, has a family of two kids (7 and 9) and they have just spent a whole year traveling around the world. If you make all the decisions on where to go you will more likely experience a trip to hell than a trip around the world. At the same time, you also need to think about yourself and enjoy the trip as much as your kids. Set up a system, where they get to choose something fun to do, like going to a theme park, and you get to choose something to do as well, like visiting a museum. The kids will be fine with coming along since they know they get to do something they want as well. If you’re going to be away for a long period of time, education is necessary. Set up a routine of studying, and before leaving it’s necessary to draw up an appropriate ”curriculum” of teaching together with the school so you know that your kids aren’t missing out on anything. Things such as tests and exams are still important to make sure your kids actually learn and are at the same level as other kids their age. Some schools even set up something called ”cyberschooling” where your kids can ”go to school” on the internet, but we never used it. Both traveling with kids as well as home schooling is very different from normal travels and you’re juggling a lot of things at the same time. We dealt with this by traveling slow and taking longer breaks between travel days, and found that we had much more fun and it made the kids more relaxed and happy. Staying in apartments also made things easier and cheaper. We could cook our food, and there was often much more space than in crammed hotel rooms. If you’re not planning on staying for a whole year you can actually rent timeshare weeks that have similar apartment style accommodations plus amenities like swimming pools which children always enjoy. We also traveled around much by car, renting a car in the country for a week or so, rather than traveling long hours by bus or train, which allowed for breaks whenever we wanted. Often you can rent a car at one place and leave it at another, which makes it pretty easy as well. When arriving in England we rented a car from the Heathrow parking area and when we were leaving, we left the car at the Gatwick parking lot without any problems at all. I saw a lot of changes in my kids during our year of traveling; they became more confident, more outgoing and they picked up new languages very quickly. It’s a big step to take your kids traveling, and there are a lot of worries, but I guarantee that the benefits far outweigh the downsides. There are so many things you need to plan that this barely scratches the surface, but those are things that I found helped our travels a lot that I didn’t read much about before hand. Would you consider taking a gap year and travel with your family? How young were you when you realized you had a thirst for adventure? 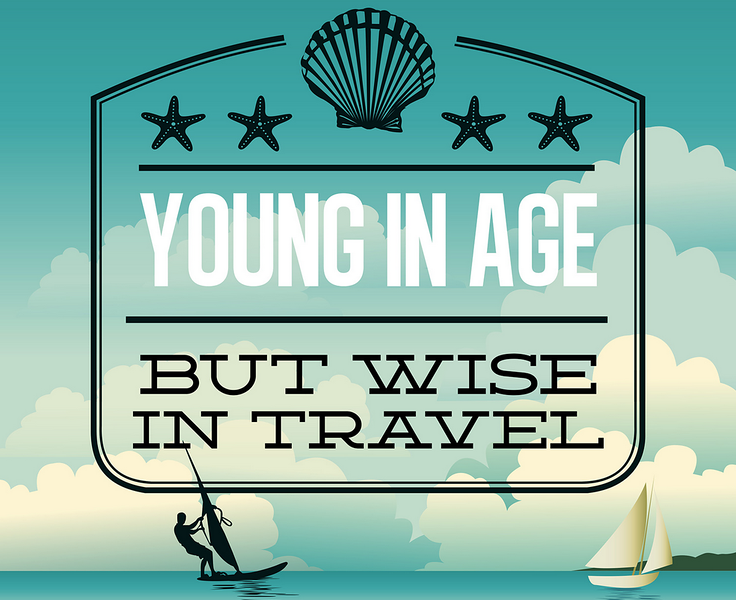 The average age of a traveller seems to be getting younger with each passing year and people are craving adventure at an increasingly earlier age. Research indicates that a child must taste food at least 10 times before he or she will accept it and the younger a child is, the more willing they are to try new foods. 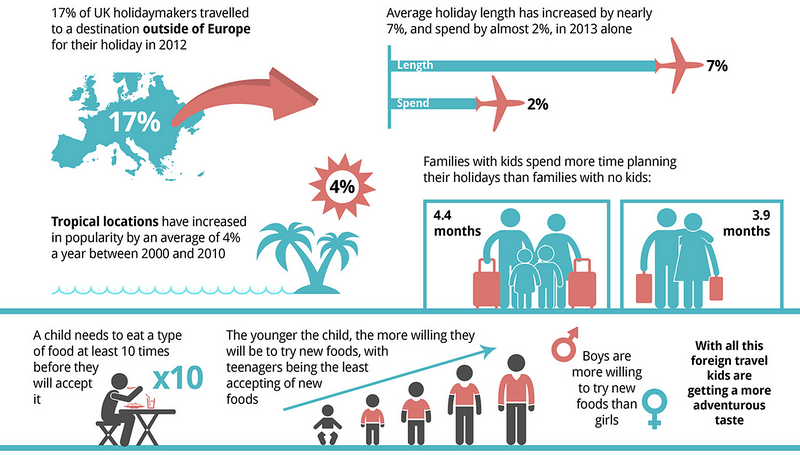 Although this seems irrelevant, you’d be surprised by how often parents have cited food as a reason for not travelling to more exotic locations with their kids. Parents are more health conscious and see the need of adding more activities into their family life. Travel plays a large role in this, parents are more open to taking the kids along and including them into travel activities such as winter sports, camping, hiking, cycling and even backpacking. Teaching a child to be adventurous with food at any early age, therefore, is a great thing for parents to do. With a new-found taste for the uncommon throughout their growth, they become increasingly hungry for adventure. With a wealth of travel information at their fingertips, it’s easy to imagine the next generation of travellers having a thirst for globetrotting that will be increasingly unquenchable. While Fun and Unique Places to Travel with Kids presents its own sets of challenges and rewards, there’s no need to limit your destinations to theme parks. 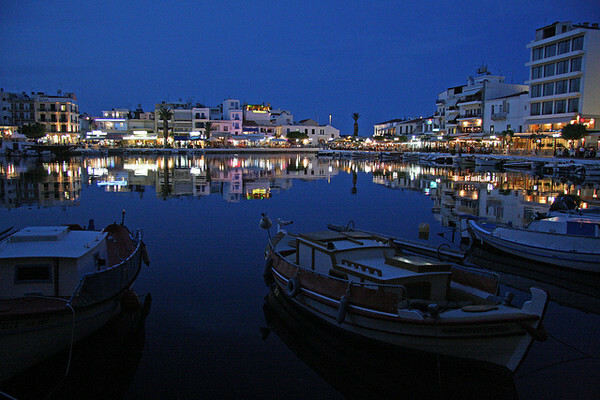 On the shores of lovely Mirabello Bay of Crete, this Cretan town is also home to the lagoon of Lake Voulismeni, quaint shops, and several small beaches. While younger children will be content to play in the sand, older children and adults will be intrigued by the legends and myths that originate here. 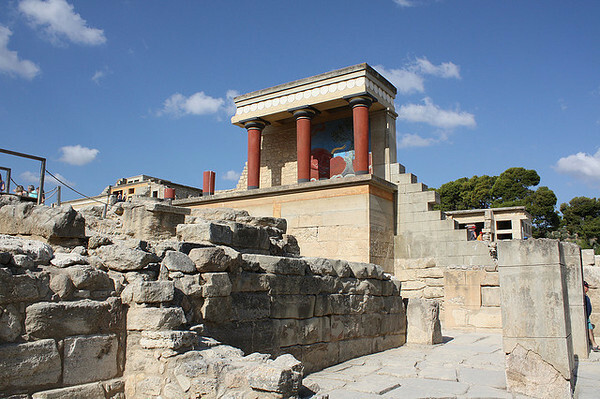 A visit to the Archeological Museum is a must — it has a great collection of Minoan artifacts; for those particularly interested by ancient legends, the Dikteon Cave and famous Knossos are easy day trips away. Otherwise, relax and take in all that this small town has to enjoy — great food, beaches, and shopping for local goods such as hand-woven textiles. For luxury family lodging in the area, check out Destinology for great offers. Most of this peninsula’s attractions involve water, including beach resorts, water parks, and boat tours. Parents and children with both enjoy the hassle-free comforts of a summer resort, and kids and kids at heart will love to be a pirate for a day as part of a cruise around Mt. Athos. Just outside of Thessaloniki is Waterland, an aptly named water park boasting Europe’s largest wave pool, crazy water slides, and massage rooms for weary adults. A hike up to the Byzantine castle Neposi gives amazing views on Peristeri Canyon. There are no shortage of ancient sites in the area for history buffs. The beaches are the major draw here, including many with small basins where children can play safely. 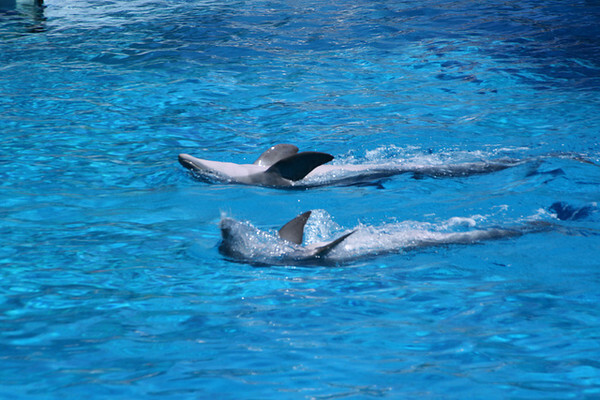 Outside of town in Guia is Zoomarine, where families can see dolphin shows, performing seals, acrobatic pirates, and tropical birds. The Albufeira Riding Centre is a great place to take a horseback riding lesson, or to hack out on trails for more experienced riders. The Cerro da Vila Roman ruins are worth a visit, as is what remains of the Paderne Castle. 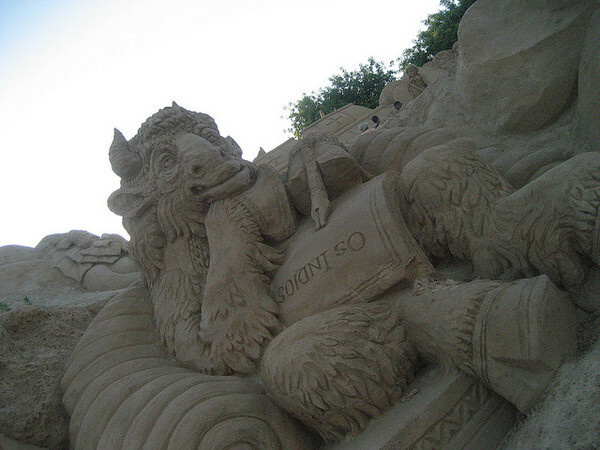 The International Sand Sculpture Festival in Pêra is a great summer attraction; each year, artists explore a different theme, and their amazing sculptures remain in place all summer long. The Sheraton Algarve & Pine Cliffs Resort is an amazing choice for families and is positioned on a cliff overlooking the coastline. A pleasant coastal walk connects you to Albufeira town. Pakistan is a country with so much to offer. Despite the media attention surrounding the country, travellers to Pakistan will find the people to be welcoming and friendly – especially if you have an interest in cricket! Make sure you’ve got all the basics covered before you leave home – buy travel insurance; check out the government advice on travel to the areas you’re visiting; and save money on international calls so you can easily call home (your friends and family might also want to set up cheap calls to Pakistan, so they can contact you during your travels). Little is spoken of the versatility of Pakistan – a visit to the country does not simply consist of mosques and ancient buildings, but of beaches, lakes and mountain scenery too. Lahore Fort is one of the most popular sights in Pakistan and is found in Lahore, one of the largest cities in the country. 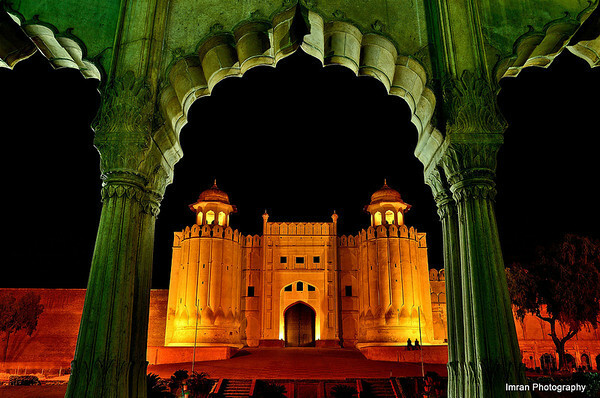 Located in the Old City, Lahore Fort has been rebuilt and restored several times with the date of its origin still unclear, although it was rebuilt to its current shape in 1566 by Emperor Akbar. It may not be as elaborate as other architectural designs in the country, but this fort holds some fascinating history and is supposed to sit on ancient ruins. There are several museums and you can also hire a guide to explain the fort in more detail. Lahore Zoo is thought to be the fourth oldest zoo in the world and was founded in 1872. It is one of the biggest zoos in Asia and will be a great day out during your time in Lahore. There are also some beautiful gardens through which you can wander. A lake that looks more like it belongs in Switzerland than Pakistan, Lake Saiful Muluk is a glassy mirror of water amongst snow-capped mountains that rise up along the banks. 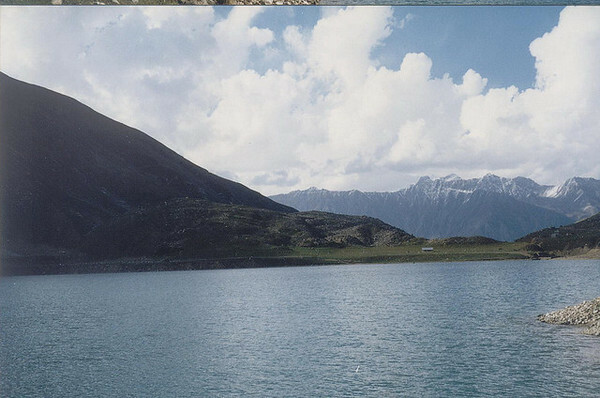 The lake is located at 3200 meters above-sea-level and is surrounded by the myth of Prince Saiful Muluk who supposedly fell in love with a fairy at the lake and married her. You can hike up from Naran (which will take around two to three hours) or hire a jeep. Around 40 kilometers from the center of Karachi, French Beach is one of the prettiest and more private in the area and is popular with the upper classes of the city. 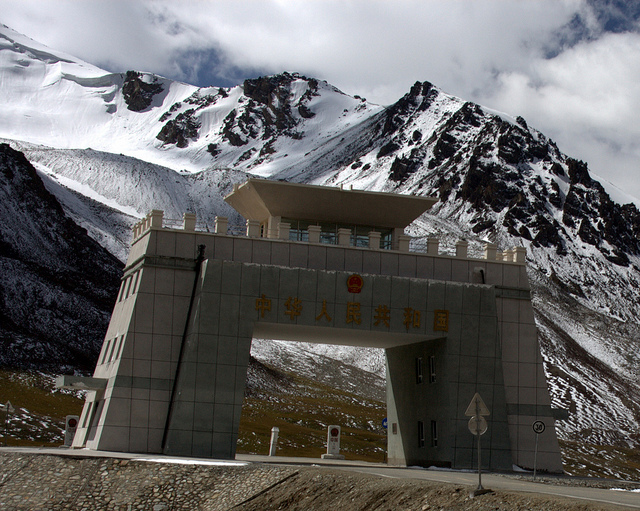 Connecting Pakistan with China, the Kjunjerab Pass offers amazing mountain vistas. At around 15,600 meters above-sea-level, the pass has incredible views and is home to the rare Marco Polo sheep with their huge curled horns, among other animals such as the snow leopard. Of course, all this is just a sample of what you can see and do in Pakistan, a wonderfully diverse country with a vast array of attractions for every travel taste. Land-locked Switzerland is renowned for its beauty and high standard of living – for centuries its citizens have been credited with promoting a bracingly healthy outdoor lifestyle – whether it’s hiking stick-in-hand along Alpine pastures, or boating in one of the many crystal-clear mountain lakes. What better place, then, for parents to send their kids on a summer camp? Since the advent of cheap air travel, language-focused summer camps abroad have become an affordable and enjoyable way for young people to constructively spend their summer holidays. For many teenagers, language classes in their home country can seem a little too much like school. By combining the language-learning experience with travel, students quickly see the benefits of being able to converse with the local population. If the learning experience is combined with outdoor activities, such as swimming, kayaking and camping, then even better. As well as furthering their career opportunities and broadening their cultural horizons, a language-based summer camp enables youngsters to make new friends and grow as people. Moved out of their tried-and-tested friendship groups, young people on summer camps abroad are able to try out different aspects of their developing personalities and form bonds with people from a variety of backgrounds. Switzerland is the perfect place to pick up a language, thanks to the country having not one, but four national languages: German, French, Italian and Romansh – summer camps specializing in learning any one of these can be arranged through providers such as ESL-Schools.org. The German-speaking part of Switzerland occupies around 65% of the country, mostly in the north, east and center. Italian-speakers account for approximately 6.5% of the population and are found mostly in the south and south-east of the country, where Switzerland shares its border with Italy. Luxury Travel and Kids – Can the Two Exist Together? When you think of luxury travel, couples’ travel usually comes to mind. People naturally think about honeymooners, those looking for a romantic retreat, and those who just want a chance to be with one another and relax together. Oftentimes, women join with friends for a luxury holiday. Now what about luxury travel and kids? Can those even exist together? If you enjoy all the benefits of luxury travel, but you plan on bringing the kids on your next vacation, you may be surprised to find that the two can co-exist, and here’s how. What type of vacation are you wanting to experience? Are you looking to relax? Consider the age of your children and their interests as well as their stamina. Older children may be able to handle long flights and changes in routines better. They will also be able to care for themselves more, enabling you to have an easier trip. A big part of luxury travel is the accommodation. Often travelers look for those remote, quiet, and unique properties that promise rest, relaxation, and romance. When traveling with kids, the priority list needs to shift a bit, but there can still be a focus on luxury. As you look for that perfect place to stay, be sure to check out what are dubbed luxury family hotels. These are hotels that are oozing in luxury and opulence, but also welcome kids and provide amenities and activities just for them. Luxury Link is a great source of these luxury family hotels, providing options in some of the most popular destinations in the world. These hotels are proof that mom and dad can have a luxurious vacation, while the kids are kept busy and happy. Kids play area; and being close to family-friendly attractions and activities in town. A great example of a property that checks off all the boxes is the Hyatt Regency Orlando, in Orlando, FL. This one is available through Luxury Link and has been a popular choice with families looking to blend activities, fun, and luxury into one. Still along the lines of accommodations, you may also wish to pick a property that offers privacy. Vacation villas have become very popular as of late and are popping up all around the world. For families, these are a great option because you will have a full residence/house all to yourself. This usually includes a yard, and sometimes even a pool. You’ll have multiple bedrooms, bathrooms, a living space, and full kitchen, making family vacationing a breeze. If you have young children, this is ideal as they can be busy having their nap or early bedtime. While mom and dad can enjoy their yard and the rest of the villa without disturbing the sleeping child. It’s also very convenient to have a full kitchen while vacationing. You’re on holiday, and don’t want to shop for groceries and prepare meals. 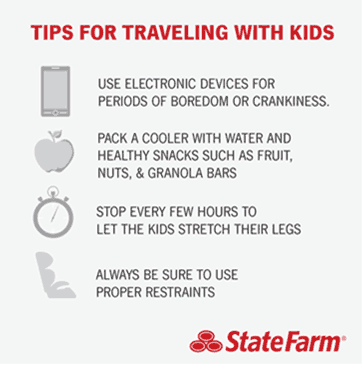 However, having the ability to use a kitchen or even to store some healthy snacks, makes it less stressful when traveling with children. They often eat less at mealtimes and more frequently than adults. Sometimes it is a hassle to traverse out to restaurants three times a day. Being able to prepare a simple meal in your hotel or villa can really be an asset. Of course, part of a luxury trip is being able to enjoy a little adult time together, and that can be made possible if you pick a property with child care services on-site. There may be a dedicated play area for the kids where the service is offered, or they may offer in-room child care. By booking a luxury family vacation, you’ll be ensuring the whole family comes home happy, relaxed, and ready for the next trip. While traveling through South-East Asia & Oceania I saw people doing many amazing and beautiful things which I kinda wish we would do more of here in Western society. What I learn when traveling I try to really implement into my own life, but once I get back home after a while I always find myself getting caught up and falling back into my old Western-conditioned habits. In some places it really seemed like they were celebrating something nearly every day, there was such an explosion of colors, dances and traditions – it was so beautiful to see! Why can’t we celebrate more often? Maybe not every day, but I definitely think we can find some more opportunities to switch off the 9/5 work work work. And enjoy the moments of life a bit more. 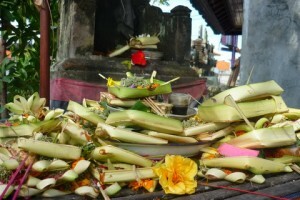 At first we didn’t understand why the shop keepers in Bali would always hit the money we gave them on their clothes, themselves, and the cashier. When we ask they told us that they were thanking and blessing themselves, us, the clothes and the shop for the money they were given. I’m not saying that we should start hitting our dollar bills on the shop attendants, but being more grateful and not taking all we have for granted is something I think we often forget. In some cultures, you share all your food with everyone in the village. I think we should share more, and not be so afraid of always getting ripped off, or missing out. I’m not just talking in material ways, but sharing more of ourselves. We are so afraid of not being enough or being judged that we choose not to give anything at all. In Sweden where I’m from, people are really kind and loving, but it takes a lot for them to dare showing it, or you need to wait until they are drunk. In many Eastern countries I have found complete strangers suddenly become your friend, and seem to want to know everything about you. For no other reason than they are honestly interested, and care. In Asian countries they often have family doctors which they see regularly, even if they don’t feel sick. It’s the doctors job to keep them healthy. In Western society we focus more on fixing something that is broken rather than preventing it from ever breaking in the first place. The other week I tried to get an appointment with a doctor, but they wouldn’t let me do a normal check up unless I had a problem or was feeling sick. Somehow the 24 hours we all get per day just seem to be getting shorter and shorter, it’s simply not enough! The world seems to be spinning faster and faster, and we never take the time to slow down and simply just breathe. The world carries on spinning just like it always has, but the people are speeding it up in their head, creating more and more stress. Taking some time to just breathe is something we rarely do here. What customs and ways of life have you found while traveling which you would like to introduce more into the West? The small Romansh-speaking population are found in the eastern canton of Graubünden. French speakers make up around 20% of the Swiss population and mostly reside in the west of the country. This area includes the cantons of Vaud, Geneva, Jura, Neuchatel and parts of Bern, Valais and Fribourg. 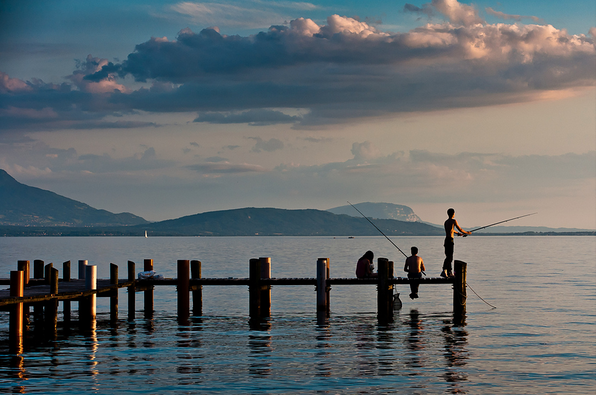 Montreux, on the banks of Lake Geneva, is a popular summer camp destination for students hoping to learn French. 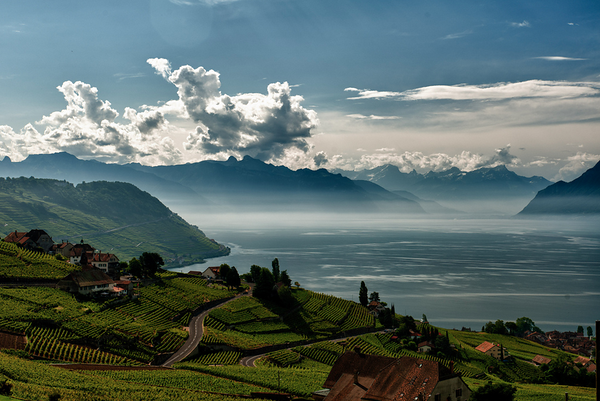 This is predominantly thanks to the municipality’s winning combination of warm summers, a rich cultural calendar and a panorama that includes both the Alps and the iconic Swiss lake. Have you ever sent your children to a summer camp abroad or done it yourself as a kid?